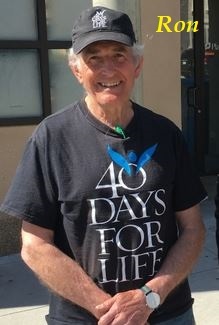 This entry was posted in abortion, Conservatives, Culture War, Evil, Liberals/Democrats/Left, Planned Parenthood, Pro-Life, Terrorism, United States, war on Christianity and tagged 40 Days for Life, Allison Aranda, Life Legal, Matt Britton. Bookmark the permalink. Justice will catch up with this creep. The second most egregious fact here, other than the attack itself . 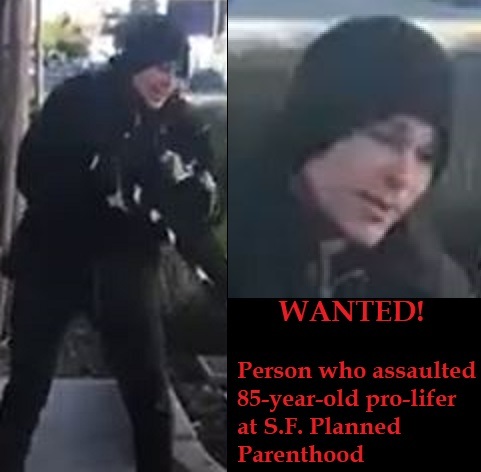 . . is that this particular Planned Parenthood facility has refused to turn over their surveillance tapes of the attack. As far as I am concerned, they should be found to be a part of this attack–after the fact. I am dismayed that the police cannot compel them to surrender tapes of a crime which was perpetrated outside their establishment. Where are the cops? What a Bolshevik hellhole. It’s a one way, my way or the highway deal with them. Little by little they are taking away our rights or shall I say we are giving up our rights. The brutal assault perpetrated on the elderly man is a concern to all of us, we saw It happen to a student, a drugstore employee and so forth, and we must demand that harsh punishment is given to those attackers, if not the attacks will scalate and next we’ll see crowds taking over the streets. Perhaps he should consider him self lucky; killing the weak and vulnerable is their goal. this punk needs to be given a retroactive abortion.